The royal commission has released 94 financial entities’ misconduct reports in a staggering data drop that unearths the nature, extent and causes behind this reprehensible behaviour. 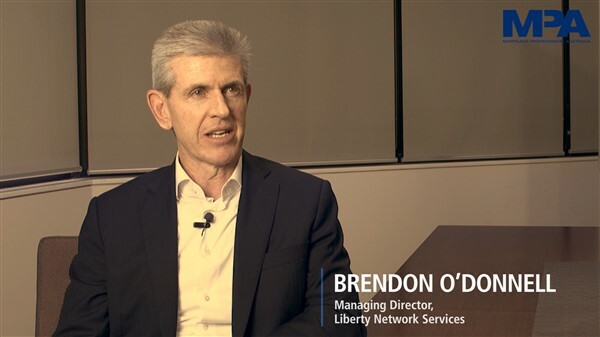 The documents were released Wednesday afternoon (7 Nov) and include disclosures made by the big four banks, non-major banks, and broking franchises, among others. Commissioner Kenneth Hayne initially requested that the financial services entities provide details of misconduct and behaviour falling below community standards covering the last 10 years. He asked them to explain what steps had been taken to deal with it; what was being done to prevent such behaviour from occurring again; and whether it could be attributed to the group’s culture or governance practices. Hayne reprimanded the big four banks in particular for failing to provide sufficient detail and requested that they provide follow-up reports, all of which have now been published publicly. MPA has so far looked at the submissions made by Yellow Brick Road (Vow Financial), Loan Market, AFG, Mortgage Choice and Smartline to get a better understanding of the breaches that took place in the broking industry. Read together, these documents reveal several cases where brokers falsified or provided fraudulent documents; breached the NCCP Act; and failed to disclose the correct or all of the relevant information about an applicant’s financial situation and liabilities. Most of the groups claimed that these were isolated incidents that did not indicate broader systemic or cultural issues. They also spoke about the measures they’ve put in place to prevent these behaviours from occurring in the future. Some groups provided thorough detail on the incidents; while others were vague and did not even list a date when the behaviour occurred. In one case, Vow Financial terminated its relationship with a broker after several funders identified and had suspicions that the broker was potentially involved in a wage staging scheme with another broker. Vow Financial said its investigation was unable to provide conclusive evidence confirming the allegation. It said this incident could not be attributed to wider organisational issues. Loan Market reported on a case from 2016 where a broker was suspected of being involved in money laundering via a payroll arrangement that was separate from Loan Market. “[While the] incident therefore does not constitute misconduct on the part of LM, however, LM considered the seriousness of the allegations in respect of the broker’s character and took the actions below.” Loan Market said the broker’s misconduct was independent of the franchise and it took the proper steps to deal with it. The broker ended up resigning. AFG reported on 55 instances over the last decade where 55 individual brokers provided non-genuine financial verification documents in support of their client’s loan applications. AFG terminated 53 of those brokers; another was terminated by their organisation. As a result, AFG has established a Consequence Management Framework and a process for investigating complaints and allegations of misconduct. Mortgage Choice reported on a franchise that was voluntarily surrendered after it was found out that it was arranging loans for customers in order to fund businesses owned by the franchise. The customer loans were repaid. In FY2017, Mortgage Choice said it received 51 complaints versus more than 38,000 loans settled. It paid out $17,372 in compensation. Smartline reported on two separate incidents where valuation reports were altered by a broker and a loan writer. It also said the NSW police are currently investigating an allegation regarding a borrower’s credit card being fraudulently obtained and used. While some of the individual cases are confronting, to put it into perspective, the number of complaints received by the MFAA has declined since 2008. 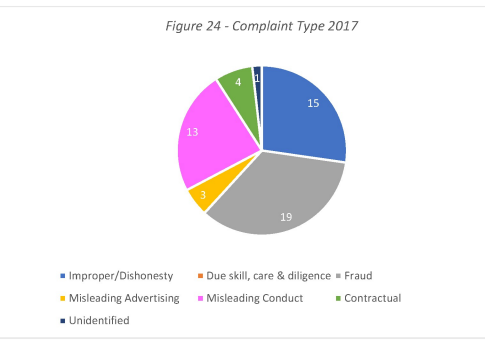 Over the last 10 years, the MFAA has received a total of 1,470 complaints and only 154 matters have progressed to the point of reaching an adverse finding against the member. The MFAA said this was also notable because during that period MFAA membership increased. MPA will continue to report on these submissions over the coming days. If you have questions, comments or information, please email editor otiena.ellwand@keymedia.com.